Strawberry season is in full swing here. The kids and I visited our favorite U-pick strawberry farm the other day and loaded up. 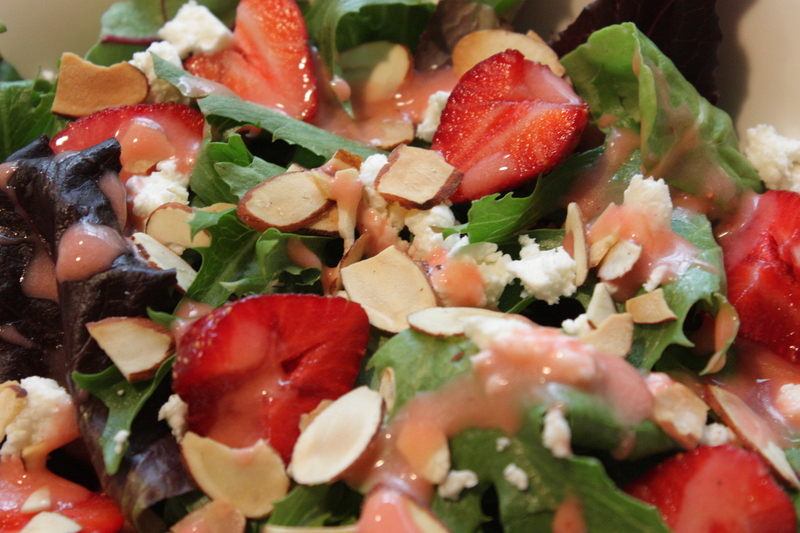 After eating strawberries to our hearts content I decided that I needed to do something with what remained. 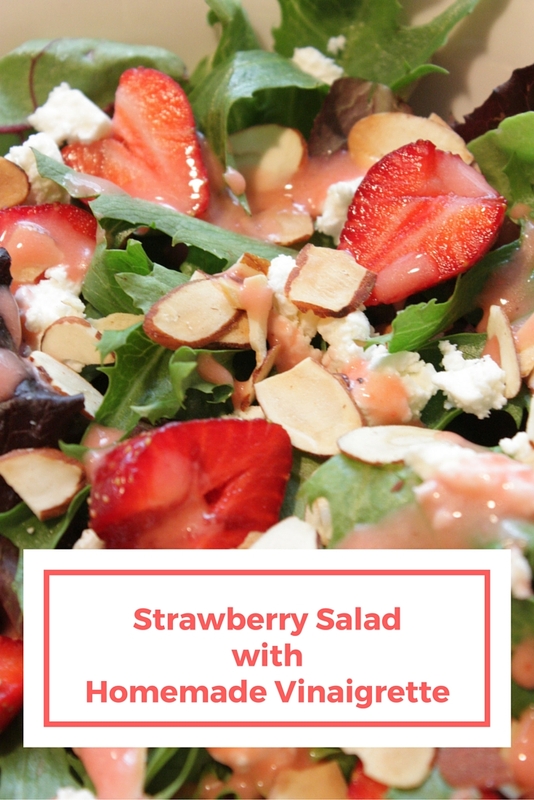 I froze a bunch for later use, baked some muffins, enjoyed one of my favorite strawberry treats, and made this salad. I love this salad for two reasons. 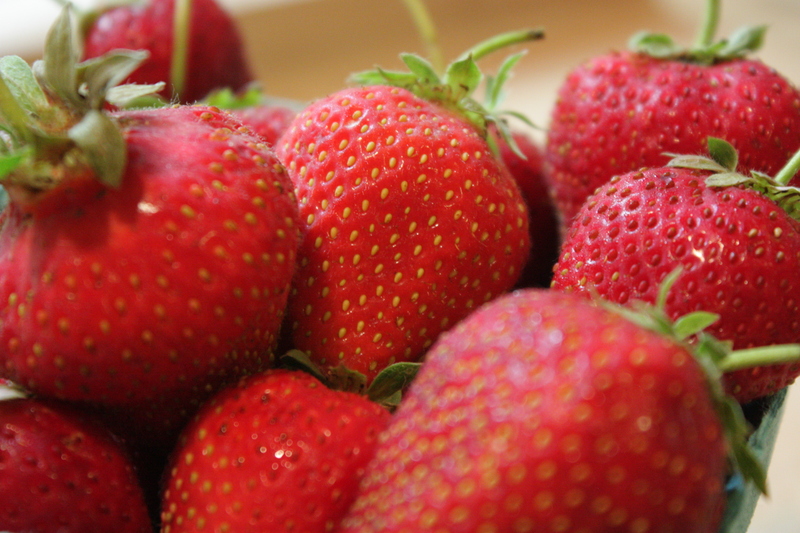 One, because I LOVE strawberries, and two, because it screams summer has finally started! Start by placing all of your ingredients except the oil in a blender. 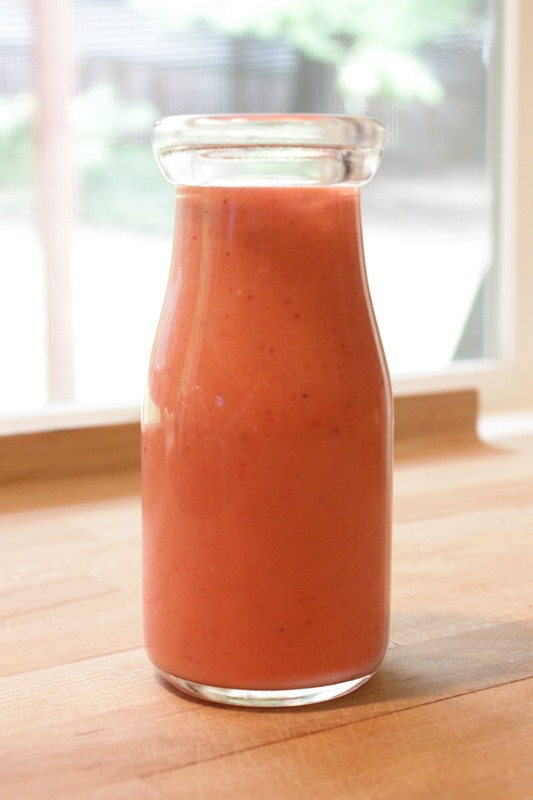 Cover and blend until the strawberries are pureed and everything is well mixed. With the blender running slowly add the oil through the hole in the blender lid. Make sure not to remove the entire lid or the dressing will go all over you and your kitchen. The dressing should thicken up as you slowly drizzle in the oil. When the oil is completely added and the dressing has thickened your vinaigrette is done. Pour it into an air-tight container and store in the refrigerator until ready to use. This recipe should make about 3 cups of vinaigrette and will keep in the refrigerator for up to 3 days. 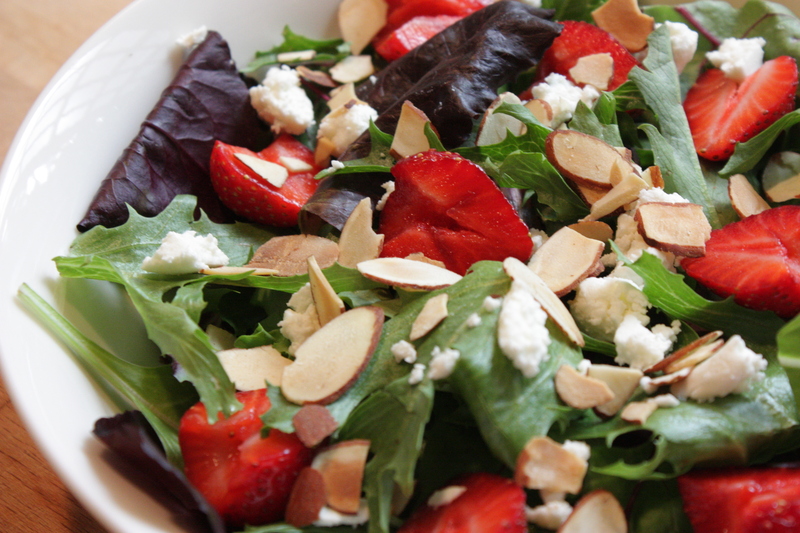 In a salad bowl arrange enough mixed greens, goat cheese, almonds, and strawberries for the number of people you plan to serve. Drizzle with dressing and toss to coat. Mixed baby greens are very delicate so start with a small amount of vinaigrette and add more if needed. You don’t want to over dress the salad.